You are all probably tired of the mission posts and this is the last post regarding my mission. 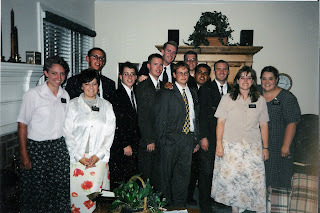 On June 11, 1998 I along with the other missionaries who were going home arrived at the Mission Home in the afternoon. 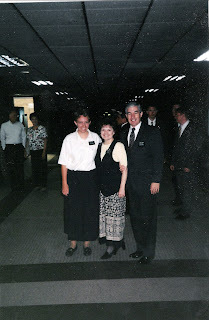 We had dinner there with President and Sister Benson. 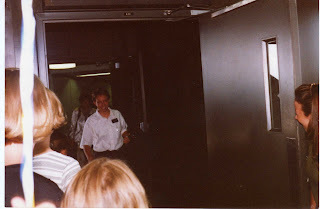 In the morning of June 12th we went to the airport in Knoxville and flew to our various destinations. 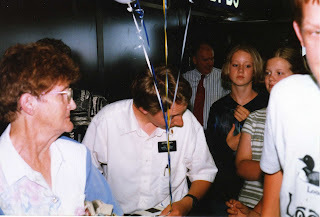 Brenda had just graduated from the LDS Business College, so I flew into the Salt Lake City Airport. 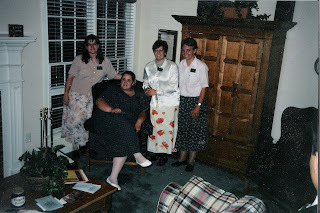 Here are some photos from the Mission Home, Knoxville Airport and Salt Lake Airport. In the Knoxville, Tennessee Airport, getting ready to fly home. 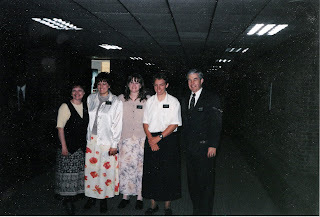 Arriving in the Salt Lake City Airport and greeting family and friends. 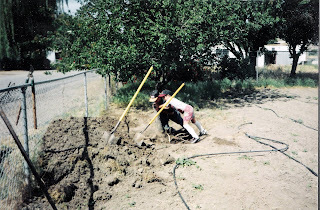 Shortly after getting back, Neal and I dug out the old cherry tree.